There is now a greater choice of vinyl replay equipment than ever, from modest but capable turntables for a few hundred pounds up to major technological statements like the Spiral Groove models that we favour. They may look modest, unlike some oil-rig look-alikes, but don’t be fooled, they are potent performers with very serious engineering talents under the skin. 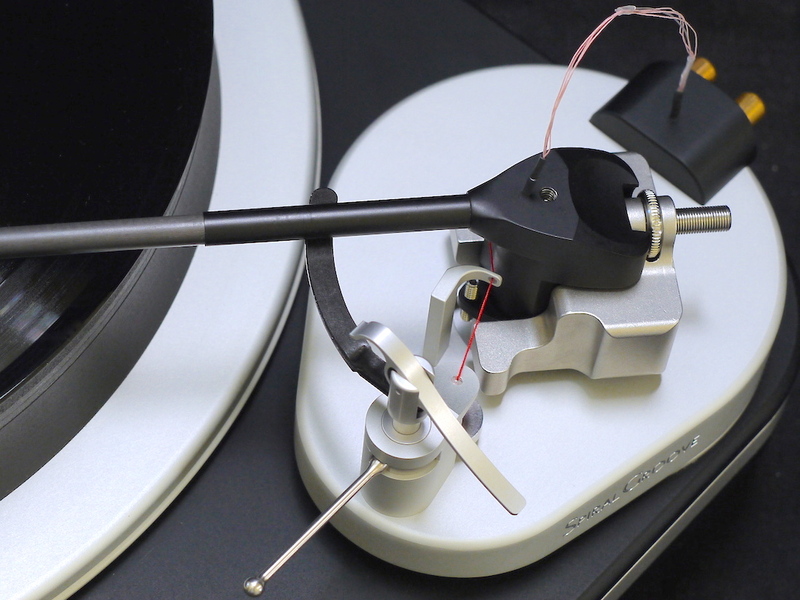 A turntable demands a great deal of care in its setup and use to realise the best performance – correct settings for VTA and azimuth, for instance, are crucial if a cartridge is to perform optimally. It’s the scope for fine-tuning that makes the Graham Phantom and Spiral Groove Centroid tonearms so special. There are other good arms on the market but by making both these arms removable we believe that cartridge installation is absolutely reliable and reassuringly accurate. With the tools provided with both you just know that the cartridge is precisely positioned. Our turntable brand fits beautifully with one of our key beliefs about controlling energy in system components– they are solid designs, avoiding the pitfalls of suspension. A major challenge for designers is how to disperse the large amounts of mechanical energy in a turntable – from the motor, the bearing and, surprisingly, the stylus – so that it does not contaminate the music signal. The problem with suspended turntables is that they are never still. Instead they are in constant motion as the compliant suspension tries – in retrospect – to correct for all the forces, internal and external, acting on the floating mass. In Spiral Groove turntables the designer has used energy-absorbent materials and construction techniques, such as constrained-layer damping. This solid approach ensures that stylus, arm pivot, platter bearing and motor remain in an absolutely fixed relationship, helping to recover as much information from the record groove as possible and giving confident, pitch-perfect replay in a wide sound stage. Definitely no quavering piano notes here. By contrast, suspended turntables are in a perpetual state of tension and correction, imperceptible to us but very real at the microscopic groove level, as they cope with the varying pull of the stylus tracing the changing music groove and the torque of the motor. Then there are all the external interferences to correct for, such as airborne sound pressure and floor vibration. The suspension, whether metal spring or rubber, will be in constant flux – the system will not be a turn-stable. Again, springs are far from ideal for suspension because a) they ring and b) they are not one-way devices, ie energy can flow back into the suspended mass.